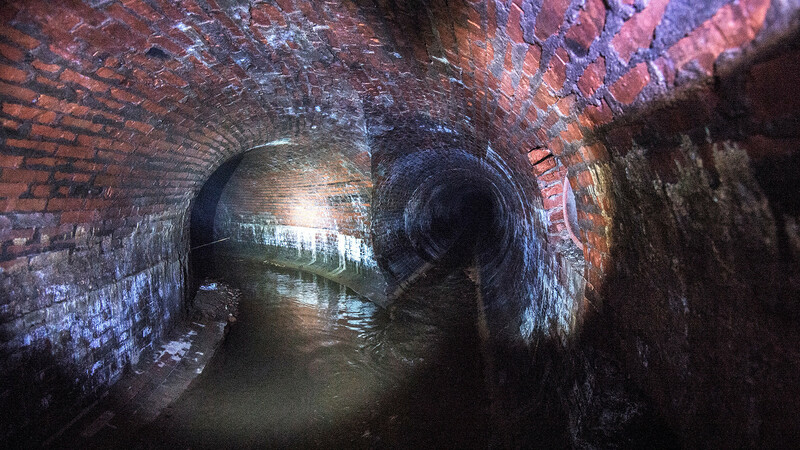 Fancy exploring the capital’s dark, dripping underbelly? You can. Visitors on a tour of the Neglinnaya river tunnel during an underground walking tour. 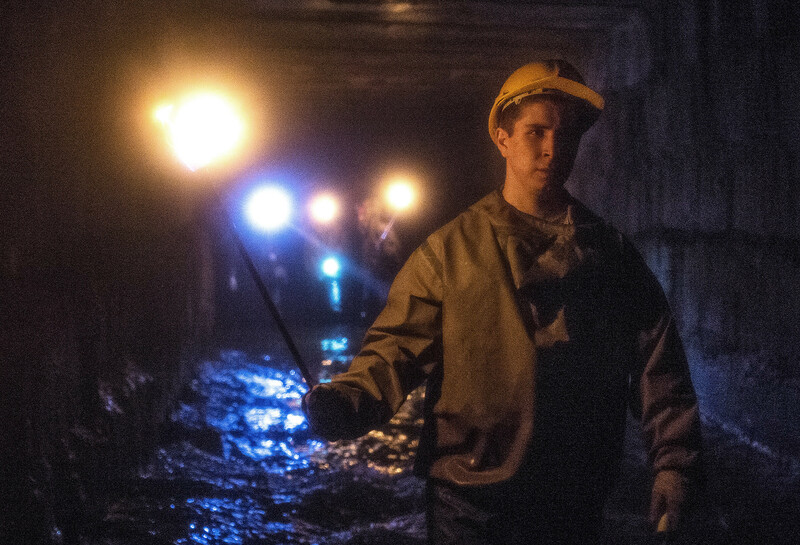 The Neglinnaya, an underground branch of the Moskva River, is the birthplace of digging, and for a long time was the only underground tour available in Moscow. Flowing from north to south through the very center of Moscow, the river initially operated as a moat in the early days of Muscovy before being moved underground due to flooding and pollution. Having previously operated as a workshop, public bath house, and watermill, the Neglinnaya is also popular among ghost hunters, who believe that spirits dwell there. The Neglinnaya’s size and easy entrance points make it the perfect place to begin your digging experience, as it is spacious, generally flat, and an easily manageable walk for first-timers. Tour-goers will also find out about the river’s creepiest dwellers, such as Darya Saltykova, Moscow’s sadistic landowner who tortured at least 38 of her serfs to death, or the world’s biggest rat, alleged to have grown to 10 meters long. A two-hour tour (link in Russian) starts at 3,000 roubles ($52) per person. Moscow diggers explore underground channel. This underground river’s name is a little misleading - although crossing it may involve gradually heightened levels of danger (just like the nine circles of hell in Dante’s Inferno), you are unlikely to see Satan himself. In fact, the tour organizer’s website states that first timers will only meet some minor difficulties. The Nine Circles of Hell are a series of underground tributaries to the Neglinnaya – but these streams lead into each other vertically, rather than just horizontally. This means diggers must climb to each “circle” in order to continue the two-kilometre adventure – so maybe hit the gym before you take on this one. This is an authentic digger experience, in which you will get the chance to climb through tight tubes, traverse waterfalls, and wade through waist-high water. Bring a spare pair of socks. The tour (link in Russian) costs 2,000 ($34) roubles per person, including all clothes and equipment. If you’ve tried the Moscow underground experience and are left craving something more authentic, Daniel Davidov is the man to hit up. 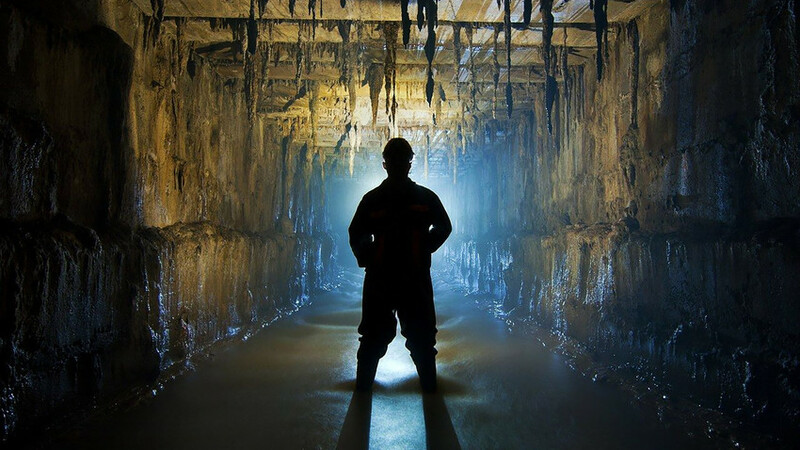 Davidov is something of a legend among diggers, as his tour service Puteshestvie pod zemly (Journeys Underground) along the popular underground Neglinnaya River has appeared on Russian state news and The Discovery Channel. For a while, the adventurer even had his own talk show dedicated to the Moscow underground on radio station City FM. Nowadays, opting to avoid the Neglinnaya River due to “broken bottles and drunk people,” Davidov offers tourists the chance to explore the more dilapidated but untouched parts of the capital’s subterrain. On one of his “Digger Trails” tour, explorers get the opportunity to climb across fallen pipes using only ropes, and get to climb real, hanging stalactites. After all this gaiety, diggers are rewarded with a cup of “digger tea” (whatever that is)! Davidov works with the Moscow City Council to support the Moscow underground’s ecological maintenance, making the tour completely legal. Prices for the 2.5-kilometer tour (link in Russian) start at 4,000 roubles ($70), which includes all the necessary equipment. Kolomna Aerograd: Why are foreigners coming to Russia to parachute?